Female Athletes in the World : Sports are not at all for the boys. Today women have given enough proof of their ability to compete with the boys in the sports field. The women are strong enough and they can be able to achieve gold, bronze, and silver for our country. There are many female athletes in the world who can be able to prove themselves in men’s world. 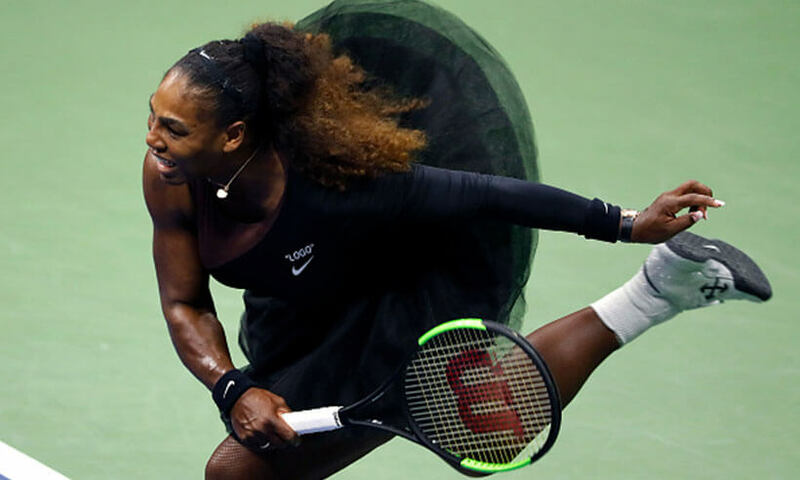 Female Athletes in the World : There is a list of the most dominant, iconic female athletes to ever play and compete in their respective sports. In the ancient era, the female was dominated by the male members of the society. There were no places for the women in the sports field. They were only for the household chores such as cooking, bearing and serving. But now women have created their own place everywhere. There are many spheres where we can find the women. There is a long list gathers female sports stars from across every professional league, association and organizations across the world. The women athletes have raw talents and born abilities within them. They have so much confidence. They have the special talent to win over their competitors. They are proud of the world. There are so many names which you will recognize. 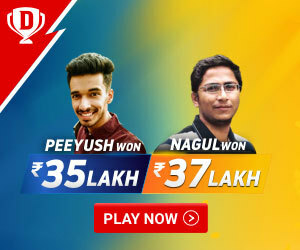 They all are famous for their respective sports activities and their dedications. Dedication, confidence, practice and hard work are important for the athletes in order to shine. One thing they all have common in them that they dominate their sport. So, let’s have a look at these 10 best female athletes in the world. Everyone knows this famous name. She is a well-known tennis figure. Her birthdate is 26th of September 1981. She is from Saginaw, Michigan. She has already achieved 72 Career Singles titles, 23 Doubles titles and two Mixed Doubles titles. There are also 39 Grand Slam titles in her bucket including 23 singles titles, 14 doubles titles and two mixed doubles titles. She has won four times Olympic gold medal. She is the most promising and popular women athletes in the world. She has already appeared on the covers of Vanity Fair, Brides and Vogue. Serena Williams has also penned an article on the gender pay gap for Fortune. She has also shot an HBO documentary. She is a versatile woman character. Besides a female athlete, she is doing a lot more in order to make herself busy and fit. Katie Ledecky is an American competitive swimmer. She grew up in Bethesda, Maryland. She was trained in Nation’s Capital Swim Club. Then she has begun to participate in International Swimming Competitions. At the age of 15 years old, she made her debut in 2012 London Olympic Games. In the women’s 800-meter freestyle, she won the gold medal. After that, she has earned her success through the swimming world’s World Swimmer of the Year in 2013, 2014, 2015 and 2016. She is also popular for the title Associated Press Female Athlete of the Year in 2017. She has owned 10 individual gold medals at the World’s Aquatics Championships and 14 combined individual titles at the Olympic and World Aquatics Championships. Jessica Ennis-Hill was born on 28th January 1986. She grew up in Sheffield, England. She attended Sharrow Primary School. From the very young age, she was introduced to athletics. At the time of school holidays, she attended the local athletics camps. At her University time, she was a full-time athlete. She won the bronze medal in 2005 Commonwealth Games. Gradually she improved her practices and won gold at 2009 World Championships. In the year 2012, she created a history by achieving the title Olympic Heptathlon Champion. After a long break, she competed at the World Championships in 2015 and won gold. After some months, she competed in Rio, Brazil and won silver at the 2016 Olympics. She announced her retirement in October 2016. 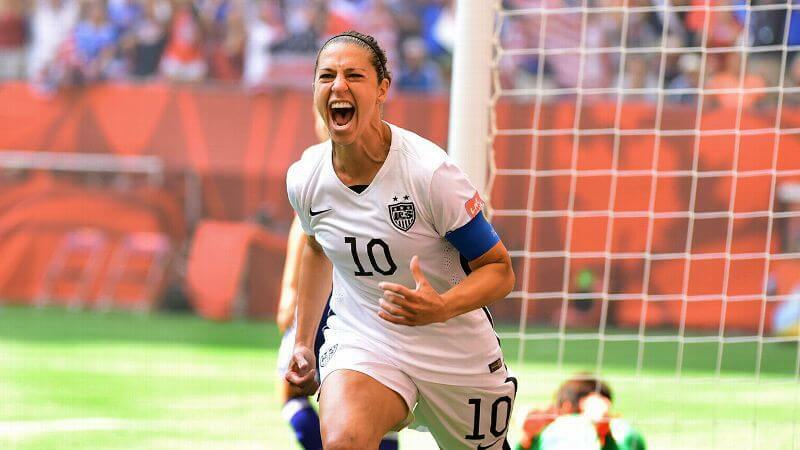 Carli Lloyd is the famous sports personality for Soccer. She was born on 16th July 1982. She was the champion of two times Olympic gold medallist. She has taken part in Beijing 2008 Olympic Games and won gold. She also has participated in London 2012 Olympic Games and won gold. She has ranked 5th in Rio 2016 Olympic Games. She was the recipient of 2015 FIFA Women’s World Cup Silver Boot Award. She was also the recipient of 2015 FIFA Women’s World Cup Golden Ball Award. Maya Moore is an American professional basketball player. There are many notable achievements in her bucket. She won the WNBA championship in the year 2011, 2013, 2015 and 2017. 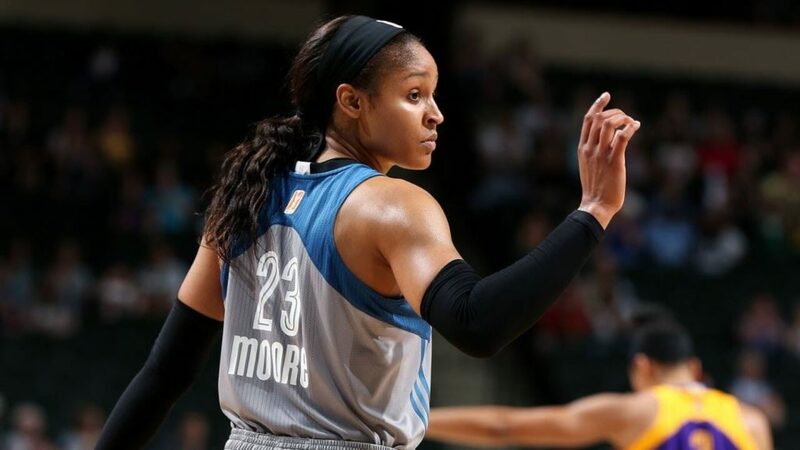 She won the title of most valuable player of WNBA in 2014. She was the Olympic gold medallist in the year 2012 and 2016. She is only 26 years old and has already achieved so many notable achievements. 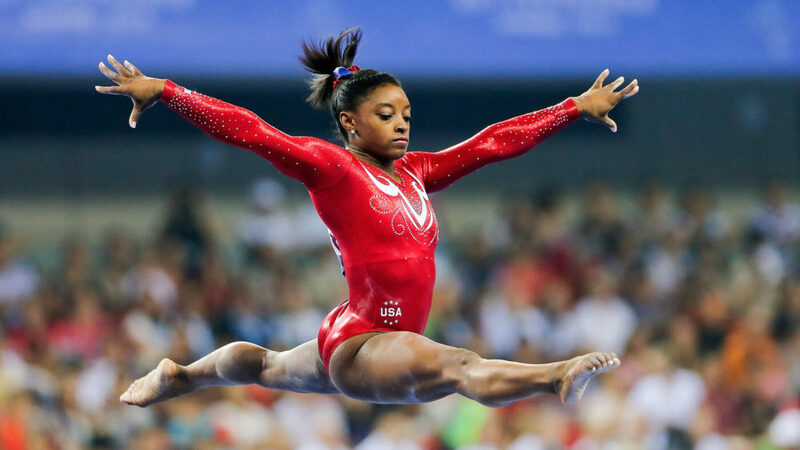 Simone Biles is an American artistic gymnast. She was born in Columbus, Ohio. She has exuberance and boundless energy that made her a star. She made her first appearance in junior national Competition in the year 2011 at American Classic in Houston. She was placed in the third position in the all-around competition and first in the vault. She was placed third on the balance beam at the 2012 American Classic. She has already achieved three-time world all-around champion (2013-15), three times world floor champion (2013-15), two times world balance beam champion (2014 and 2015) and five times United States National all-around Champion (2013-16 and 2018). 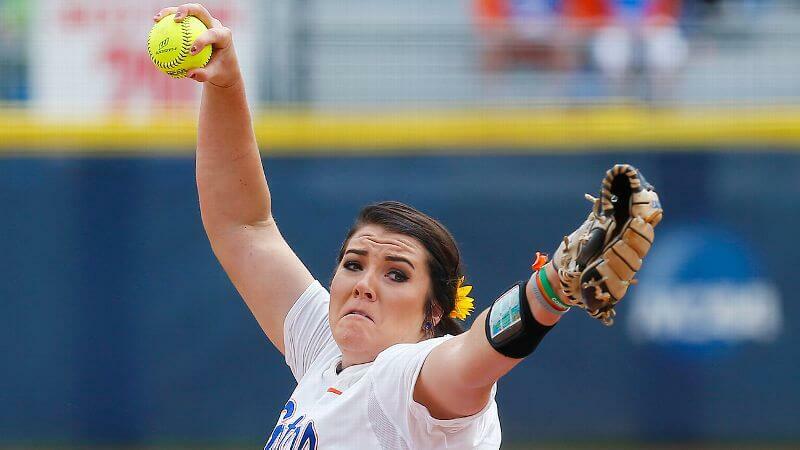 Lauren Haeger is a professional softball pitcher. She is recognized as the most outstanding player of the Women’s College World Series and the USA Softball player. She has a record of 70 home runs as a hitter and 70 wins as a pitcher. She is currently playing for Dallas Charge of National Pro Fastpitch. 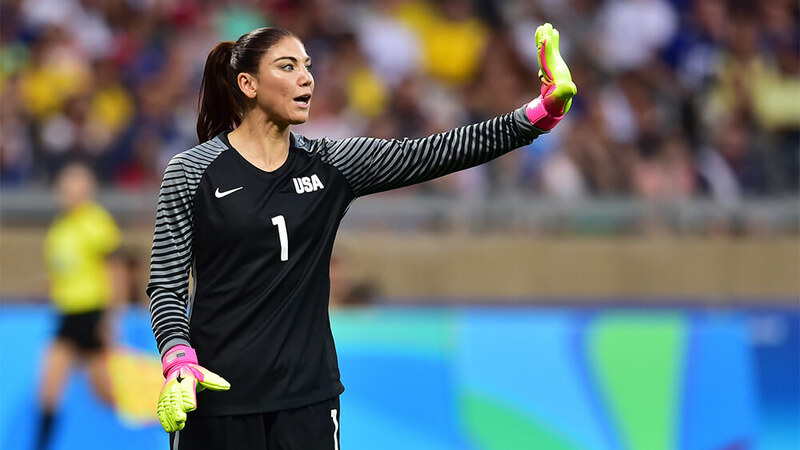 Hope Solo is an American soccer goalkeeper. She is regarded as one of the top female goalkeepers in the world. She also holds the U.S record for most career clean sheet. She has started her goalkeeping career at 2015 FIFA Women’s World Cup. She had chosen the career in her college and now arguably the greatest female goalkeeper of all time. 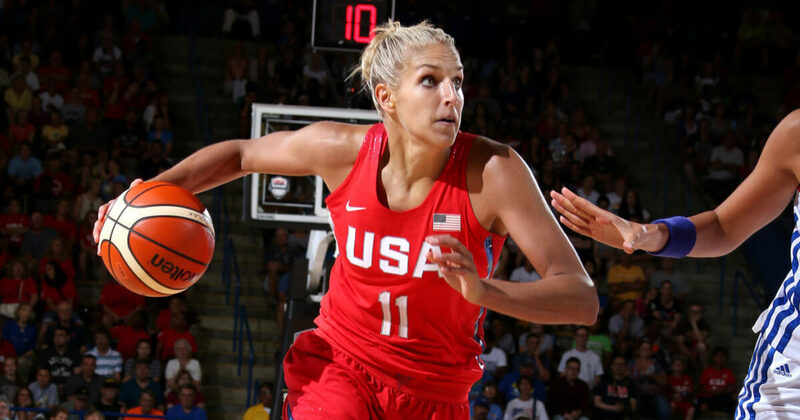 Elena Delle Donne is an American basketball player. She plays for Washington Mystics of Women’s National Basketball Association. She is just 26 years old. She has the ability to play inside and out. In the year 2016, she averaged 21.5 points. In the year 2017, she scored a season-high 27 points. Lindsey Vonn was born in 1984. She was talented from her childhood. She has won the four World Cup Championships. She won the gold medal in downhill at the 2010 Winter Olympics. She has achieved the world record 8 World Cup Season titles in the year (2008-2013, 2015 and 2016). There are so many honorable female athletes in the world. They are famous in their respective fields for their talents.